I was disappointed and surprised several months ago when a bank denied my application for a new credit card. Disappointed because who likes rejection, right? Surprised because I had not applied for a new credit card. This came a few weeks after I had learned that someone had made a copy of my credit card and was using it for a shopping spree at a discount store on Long Island. The U.S. Bureau of Justice Statistics estimates that about 18 million Americans fall victim to at least one case of identity theft per year. That’s just the number reporting the crime. It’s the nation’s top consumer complaint. The numbers don’t matter, though, until you’re one of them. Recent experience suggests I’m as vulnerable as the next sucker. And these aren’t necessarily crimes you can prevent, as I found out along with 70 million other Target customers whose personal information got compromised a couple of years ago. As fast as you can Google “identity theft,” companies come hounding you to subscribe to services to “protect” your ID. One of them, LifeLock, even made the news last year when it was ordered to pay $100 million to settle government charges that it had violated an earlier order to protect customers’ information and not mislead consumers. The good news – especially if you have been the victim of ID theft or are afraid of being one – is there’s a relatively simple alternative to hiring a credit monitoring company: Freezing your credit. Credit freezes do not affect existing accounts. Regularly monitor accounts and statements. Immediately report unauthorized charges or debits or missing cards. Annually examine your free report from each of the three credit bureaus. Never carry sensitive information, including PINs and Social Security cards in your wallet or purse. Sparingly share personal information and only with people you trust. For nominal one-time fees to the three credit reporting bureaus, you can make it discouragingly difficult for an ID thief to apply for credit in your name. Lenders check with the bureaus before issuing credit. So by telling the bureaus to withhold your information from any new inquiries, you can deter would-be ID crooks. It’s not a panacea. Credit freezes do not shut out your existing credit card issuers, collection agencies working on their behalf or certain government agencies. Also, freezing your credit protects you only from someone trying to set up new accounts in your name. Theoretically, it would have prevented my rejected credit card offer. But a credit freeze does not safeguard existing accounts, so it would not have spared me from the crook using a copycat of my credit card in New York while I was in Milwaukee. And, of course, more than criminals need access to your credit record. If you wanted to apply for refinancing or another job or to rent an apartment or switch cellphone providers, you would have to suspend a credit freeze – usually for another fee. Even when credit card issuers limit customers’ out-of-pocket costs from known fraud, identity theft can cause havoc with individuals’ credit history. The non-profit Consumers Union says victims need 40 hours on average to clean up the mess left by ID breaches. Especially if you know or suspect that you have had personal information compromised – even if you just worry too much about ID theft – freezing your credit provides simple, affordable peace of mind. Click the links to each of the bureaus for details on how to launch a credit freeze, also known as a security freeze, to restrict access to your credit report. Fees vary by state, but Wisconsin residents generally pay $10 per bureau to freeze their credit. If you are a victim of ID theft and have reported it to authorities, most fees are waived. When you freeze your credit, each bureau will provide a personal information number (PIN) to use when you need to lift the freeze. Additional fees, if any, vary by bureau and state for suspending a freeze, permanently ending one and for replacing a forgotten PIN. Report identity theft via the federal IdentityTheft.gov website. 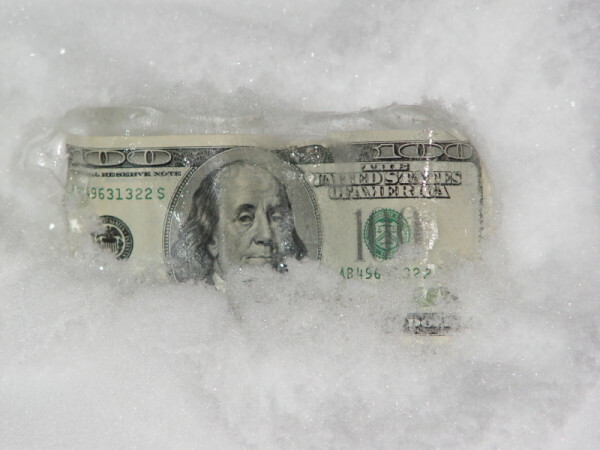 Freezing your credit can be an effective way to limit unauthorized access to your personal financial information. But it is just one tactic to try to protect yourself from identity theft, which after all is an age-old crime. As long as criminals can figure out ways to make ill-gotten gains from personal information, we need to stay vigilant and cautious.